We're suckers for all the posture delights that mainstream bicycle culture offer up. 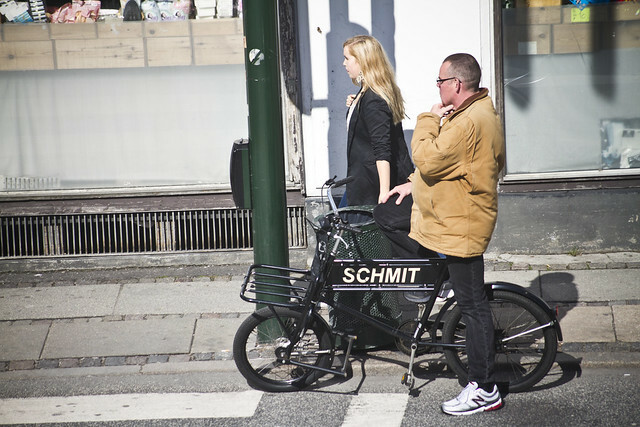 Even though we have determined that, from an anthropological perspective, there are only 10 ways that Copenhageners wait for a red light, there are of course accents and dialects in the chosen posture. We love the casual feel to these photos. Like the gentleman above. Relaxing and watching his city go by until the light turns green. A pensive moment, perhaps, for this chap. 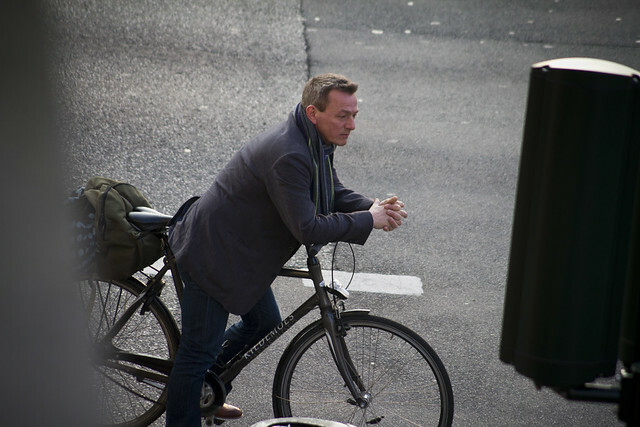 The bicycle culture version of Rodin's The Thinker? Sitting up straight and taking a moment to consider things. The young woman rests her elbow on her knee while waiting at the light, perhaps selecting a new set of tracks on her smartphone. And then there is The Felix. 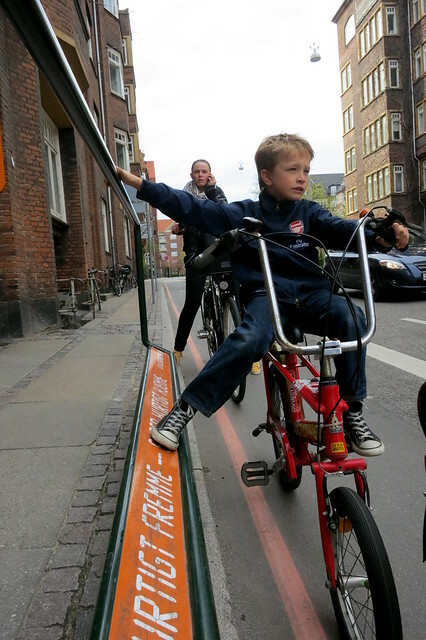 Hanging all cool and casual on one of the many railings and footrests at red lights around Copenhagen, to let cyclists take a load off whilst they wait. If cyclists have a bad name about their rogue behaviour where you live, it's simply because they are not provided with well-designed infrastructure. Good design inspires good behaviour.